It’s Gala time again at St. Ann’s Warehouse! 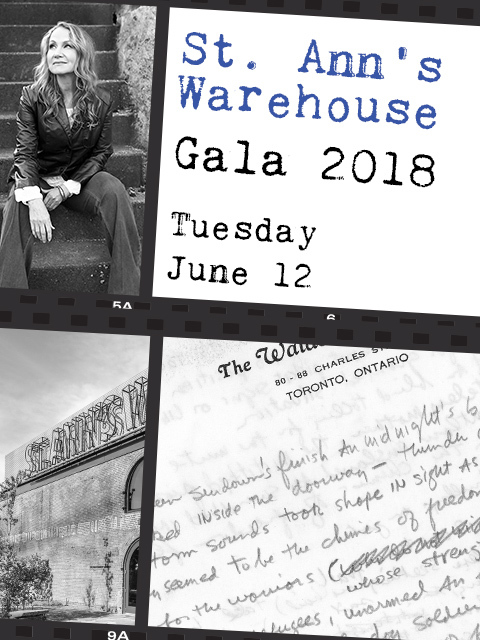 We hope you will join us on June 12th, 2018, where we will be honoring a few spectacular women for their stunning brilliance and positive impact: MaryAnne Gilmartin, accomplished developer and founder and CEO of L&L MAG, who believes buildings can be robust and beautiful; and Jolie Curtsinger Schwartz, who, with husband Gabe Schwartz and The Brooklyn Community Foundation established The Immigrant Rights Fund, giving aide to immigrants in Brooklyn. It’s going to be a special night onstage as well, as multi-platinum-selling artist Joan Osborne brings her unique interpretations and soulful voice to the Songs of Bob Dylan, based on Joan’s recent, Bob-blessed album. The concert will take place in the Joseph S and Diane H Steinberg Theater, preceded by an outdoor 6:15pm cocktail party, and followed by a delicious family style dinner. With your incredible ongoing kinship, St. Ann’s has been able to deliver creative, dynamic and thought-provoking work to eager and expectant audiences for almost four decades! This season, especially, we’ve been able to respond to worrying world events with artists from across the globe harnessing their passion and their powers to shed light and speak truth. What a wonderful way to celebrate this year’s Gala – with women’s voices, activism, and the beauty of Bob Dylan’s iconic words. We hope you will be with us, when celebration and collective effort are needed more than ever. Your substantial partnership means we can continue to bring heartfelt, relevant artistic work to our beloved and hallowed waterfront.